Mosimane’s side lead the standings in Group A ahead of Wydad Casablanca, who Downs travel to in their final group match next weekend. 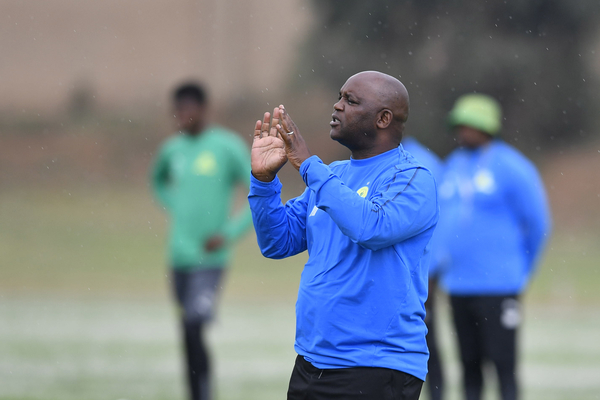 Pitso Mosimane and his Mamelodi Sundowns side will take a break from the intriguing Absa Premiership title race and shift their focus to the Caf Champions League this weekend in a match against Nigerians Lobi Stars tomorrow night at the Lucas Moripe Stadium. Mosimane’s side lead the standings in Group A ahead of Wydad Casablanca, who Downs travel to in their final group match next weekend. The coach wants to go to Morocco with 10 points as that would almost guarantee Masandawana a place in the quarterfinals. “Do you want to go to North Africa looking for a result? What does the history say about all the South African clubs when we go to North Africa?,” said Mosimane. “The game is big for us and I always say I would love to win everything but if we look at the titles, we know which one carries the biggest weight. The Champions League is huge and if it is easy to win it then why can’t everybody do that?” asked Mosimane. Having lifted their maiden Champions League title in 2016, Mosimane says the continent’s biggest club prize is first on his list of priorities, but does not discount the importance of doing well in the domestic league as that is the ticket to again compete in the Champions League. “The huge priority at home is to win the league but internationally, for the brand of Mamelodi Sundowns, it is the Champions League. “I walk around in Morocco and people greet me in the shopping malls and ask ‘how is the team?’ It is unbelievable. That is Champions League for you and it is really an honour and you really feel you are contributing to African football. “But before we go to the Champions League we need to be first or second,” said Mosimane, before he went on to warn Wydad about the state of ASEC Mimosas’ pitch as those two lock horns in the other group fixture.